A beautiful blend that's sure to draw attention! This 14 karat yellow and white necklace features a polished finish. 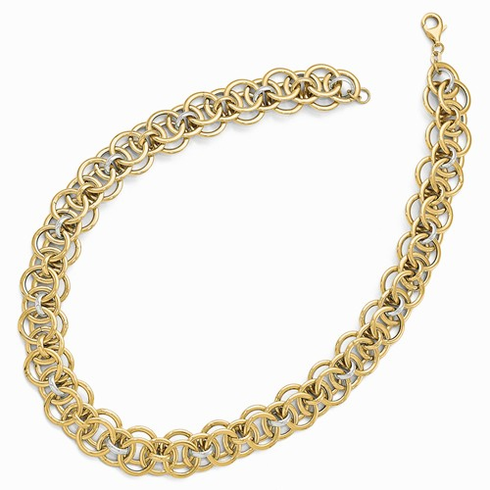 The 14k gold 18 inch necklace weighs approximately 25.29 grams and is secured with a lobster claw clasp.